By the time the first Clarion issue after September 11, 2001 was published, students were already ruminating on how the United States should respond to the attacks. 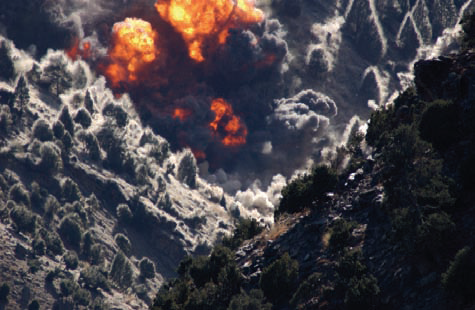 The conclusion was foregone — the United States would go to war in retaliation. Two lone editorials represented the entire Bethel College debate over the war in Afghanistan, both published on September 27, a day after CIA Special Activities Division soldiers were covertly inserted into the country to organize Northern Alliance troops in preparation for the coming invasion. 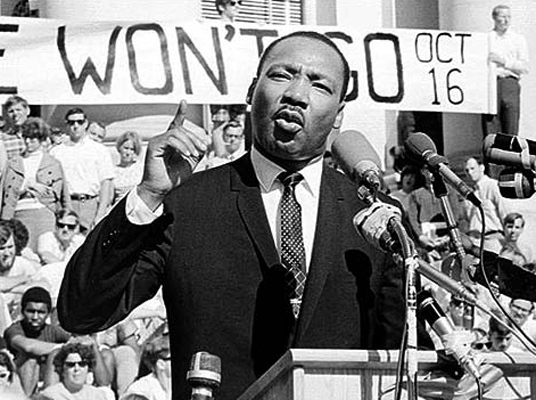 “Since we as God’s children now stand justified before God and men, we as believers are called to do as Jesus did: to forfeit our rights, and give up our claim to “justice.” […] Jesus clearly calls us to end the vicious cycles of hatred and retaliation in order that God’s justice, mercy, and grace be evident to all. 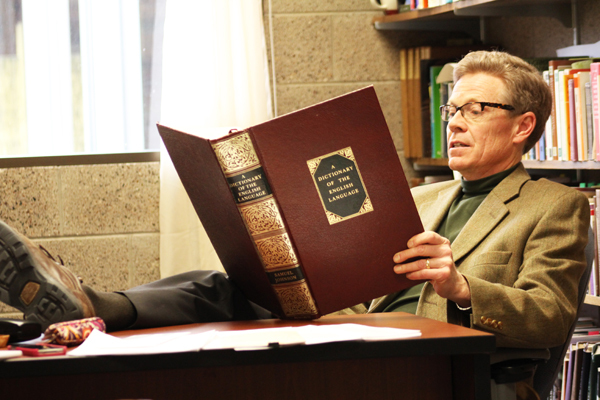 Unlike the war in Afghanistan, the Iraq War generated substantial and acrimonious debate at Bethel. Like Afghanistan, that debate was significantly truncated relative to the length of the war. The first warning shot in the debate was fired mid-October 2002, and the last major article about Iraq was printed in early December 2003, just a little more than a year later. In contrast, the war began in March 2003 and officially ended in December 2011 (although U.S. troops would quickly return in 2014 and stay through at least mid 2015). The debate over the war at Bethel lasted for less than one-eighth of the conflict before sliding into nonexistence and apathy. 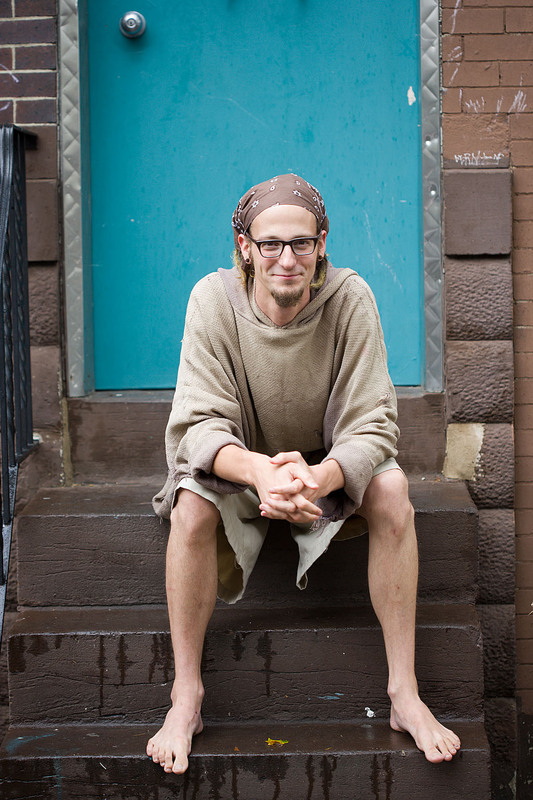 Shane Claiborne had a narrower but much more passionate following among what I would term the Bethel counter-culture (those turned off by the vibe that surrounded Welcome Week, organized dances and dating events, and the campy suburban white middle-class culture that tended to dominate events put on by the student council.). 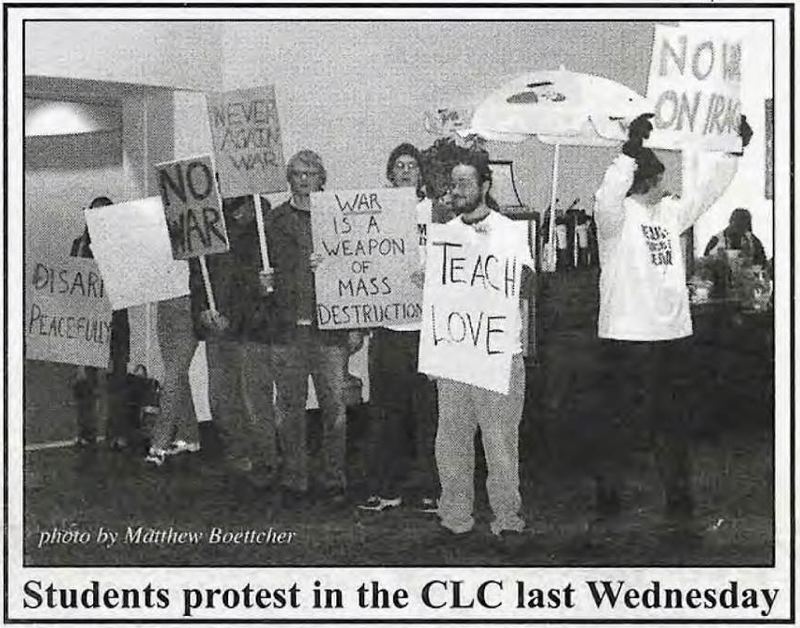 It was from this group that the clearest anti-war debate emanated, and on occasion, these students offered cutting critiques of the war — not just as policy, but as a moral failing. The vast majority of Bethel’s students, however, essentially rejected this type of reasoning. Certainly the mainstream Clarion press rejected it. 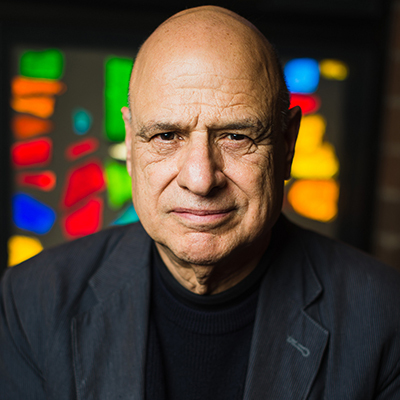 What proved more appealing to the majority of the student body — and even the tiny group of anti-war liberals — was a new paradigmatic logic for debating the war. Students who debated the war seemed less interested in interrogating the war itself — in other words, issues of proportionality, justness, effectiveness, aims, means, ends, etc; in short, the fundamental issues inherent in the Just War and Pacifist traditions — and more interested in appropriating the war as a bludgeon for use in the pre-existing wars between majority Republicans and minority Democrats on campus. The war was fashioned into a stage upon which students performed notions of patriotism and Americanism, and voiced deep-seated domestic concerns which were intensely amplified by the broader discourse of the War on Terror. While students did occasionally question the justice of the war and its aims, these questions almost invariably were raised as part of a larger discourse whose focus was on framing the war as a partisan battlefield. Even the moderately-liberal and standard-bearer of the anti-war faction Wes Burdine — also unquestionably the writer who tried hardest to escape partisan entanglements — usually ended up succumbing to the pull of party. Only towards the end of the period of debate (later 2003) did Burdine manage to shake off the spectre of party and advance a truly independent line of thought in the Clarion. Thus, the Iraq War debates ceased by and large to be about issues of war and became instead merely an issue on which Republicans could deride Democrats as weak, un-American, and borderline seditious, and Democrats to castigate Republicans as imperialist, blood-for-oil opportunists who reveled in death and destruction. This dynamic is uniquely relevant to the War on Terror and was not present in any of the previous wars this project examined. During the World Wars, support for the cause was sometimes semi-coerced, for example during the Great War by ethnic pressures and anti-Germanism, or else framed as part of an American’s patriotic duty to country. However, that patriotism transcended party, no matter how problematic it was. Vietnam too, saw the war transcend party. It was initiated by the Republican Eisenhower, escalated drastically by the Democrats Kennedy and Johnson, then inherited by the Republican Nixon whose professed desire to end the war with honor provided justification for a massive expansion of the bombing campaigns and even an invasion of a neutral country. 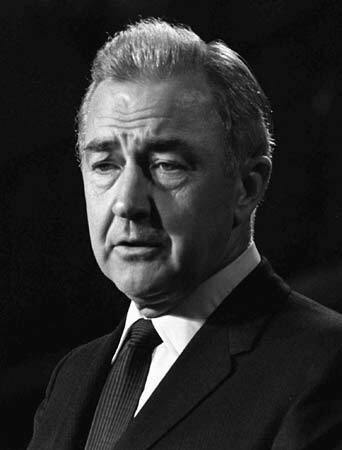 True, in 1968, a number of Bethel students defected from their Republican roots and voted for the Democrat Eugene McCarthy, but his party identification was wholly irrelevant to this vote, a vote which was centered on one issue: ending the war. During the War on Terror however, the war was not an issue which transcended party but one with which it was intimately entangled. Beyond the partisan nature of the debate, the diversity of the cast of characters was depressingly small. Almost all debate occurred between Wes Burdine (anti-war) and Timothy Goddard (pro-war), with regular support from a cast of revolving minor characters, principally the anti-war Aaron Gerhardt and Jake Nyquist, and the pro-war Kelly Kirby. 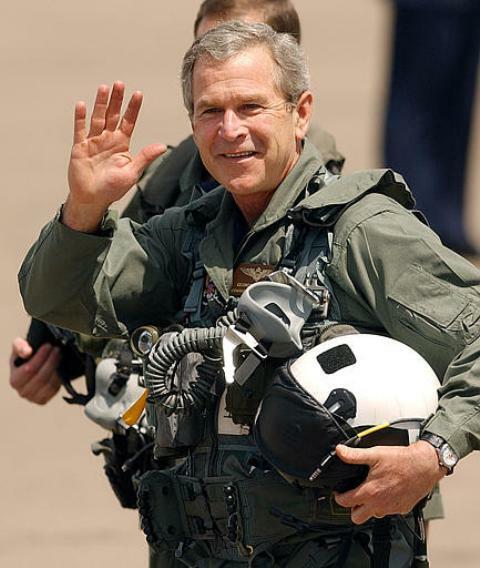 President Bush is the top leader in our country and our Commander in Chief, and deserves to be treated with respect. Your statement about him being a bully had no support. You tried to support it by saying that “Russia had to cave in” because it realized how much they don’t mind killing innocent people. What a poor argument. I am sure there is more behind why Russia supports our actions. These early examples of debate over the war should perhaps best be understood as articulating the boundaries of a mutually-acceptable “war-talk” — not debate over the war so much as the use of the war and its related issues to hammer the opposite political party. Wes Burdine’s original editorial in November 2002 contained explicitly coded partisan language; the editorial opened with a jab at the recently-elected Republican senator Norm Coleman. Brent Kobielush’s rebuttal continued the trend, questioning Burdine’s patriotism and his loyalty on account of his criticism of Bush’s policies. This pattern would continue — and intensify — over the next nine months through the end of the debate. 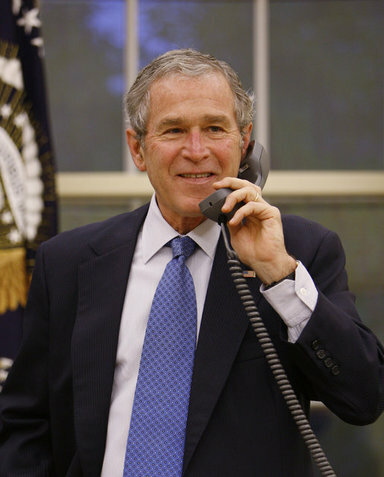 As the invasion began on March 19, the pro-military, pro-Bush narrative intensified palpably and continued at a fevered pitch through the fall of 2003. 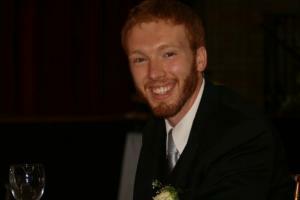 If a student contradicted the invasion narrative propagated by the Bush administration, he was castigated by other Bethel students in a construct that evoked Bush’s argument that those who were not with him were with the terrorists. Bethel’s pro-war Clarion writers worked to construct a total apology for the military, the invasion, and for an aggressive American patriotism. More often than not, that narrative centered on the singular figure of president Bush, creating something of a cult of personality. Those who questioned the president were ridiculed. 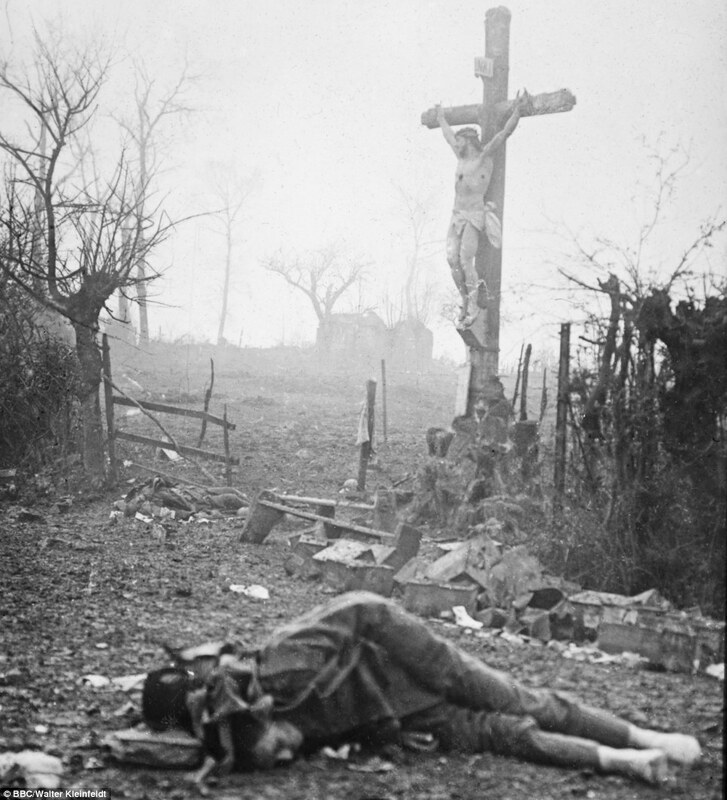 Honor, courage, good, and evil are words which died in the trenches of World War I. And now they’re resurrected to fight again. My generation seems particularly thrilled about this war because we get to see our movies and games come to life. The “honor” of giving one’s life for one’s country is much “cooler” in real life than on Playstation. Do we remember why these words died, why words like good and evil were deconstructed? Was it because of a sinful age of humanity [which] became too relativistic? Save me the sermon. Maybe it was because we saw our children bleeding the green earth black and whole cities light up in ash. We saw generations destroyed by the bullets they fired into their enemies, which could only be a bullet in their hearts later. Later, when they realized that wars are not fought for virtue. I have heard liberation advocates shout obscenities about the “stupid f-ing liberals” that stand outside Benson on Wednesdays. I’ve heard people I respect in the Peace and Justice Committee called un-American and un-Christian. I have even heard a report of an attempt to bully a professor in support of peace to “just go along with it now that it’s under way.” On the other side, I have seen peacemakers alienate the members of Bethel’s community with signs poorly worded. 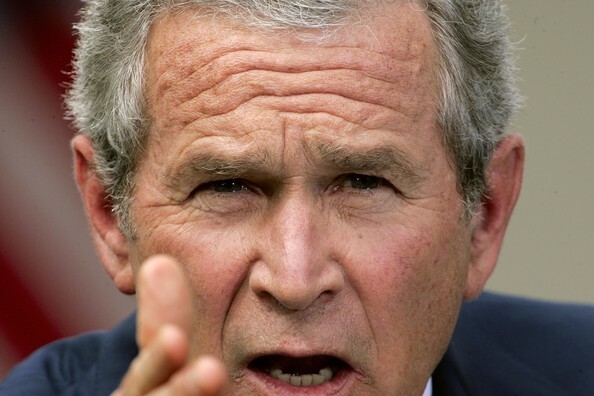 I have heard dishonoring remarks about Bush as a warmonger with a messiah complex. One of my conservative friends [Goddard] has received hate mail for his views. Boettcher lamented that his good friends Tim Goddard and Aaron Gerhardt used to talk to each other openly and now were silent: “Does anyone care that the Republican and Democrat rift that has scarred our country has been allowed to scar our campus?”³² Boettcher’s remarks failed to inspire a single response. When I started writing articles to raise questions about the Iraqi war last year, complaints came in to the Clarion about their liberal bent. How ridiculous. This campus is so fearful of opposing opinions that one (count ‘em — one) liberal on staff could be seen as threatening. Then, this semester arrives and a staff writer uses the column title “Minority Report” to publish conservative view pieces. Since when was the title “conservative Christian” a minority opinion here? 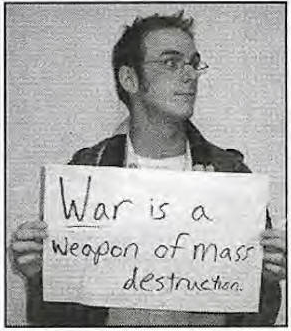 ¹ Timothy Goddard, “War must be fought with love,” The Clarion 2001-09-27. ² Jaron Burdick, “When the empire shouldn’t strike back,” The Clarion 2001-09-27. ³ Noel Stringham, Survey Response, Summer 2014, Author’s personal collection (hereafter WPC). ⁶ Angi Palmer, “Caution must be exercised whenever war threatens,” The Clarion 2002-10-16. 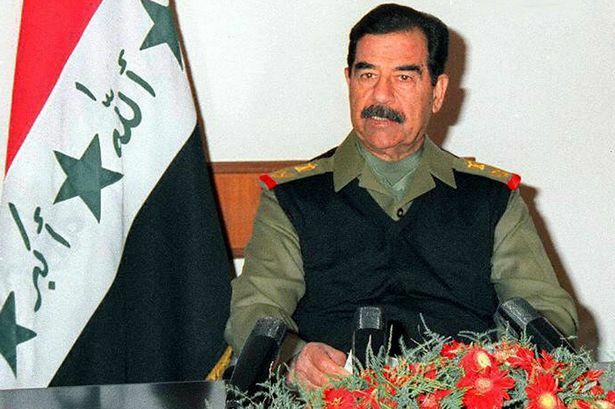 ⁷ Timothy Goddard, “US, UN have ethical responsibility to intervene in Iraq,” The Clarion 2002-11-13. ⁸ Wes Burdine, “Why I don’t like killing people — a case against war,” The Clarion 2002-11-13. ⁹ Timothy Goddard, “How to disagree without killing people,” The Clarion 2002-12-11. ¹⁰ Brent Kobielush, “Dear Editor,” The Clarion 2002-12-11. ¹¹ Jake Nyberg, “A higher destiny — America’s unfulfilled moral obligation,” The Clarion 2003-02-05. ¹² Abigail Dodds, “Misguided government or misguided you?” The Clarion 2003-02-18. ¹³ Aaron Gerhardt, “Dear Editor,” The Clarion 2003-03-05. ¹⁴ Justine Retford, “Dear Editor,” The Clarion 2003-03-19. 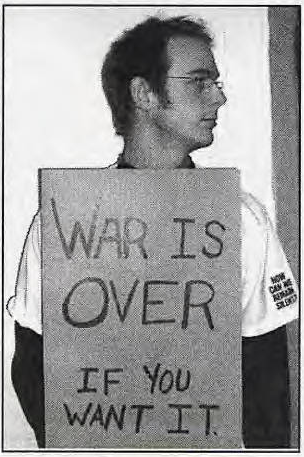 ¹⁵ Matthew Boettcher, “Students speak out in anti-war protest,” The Clarion 2003-03-05. ¹⁸ Timothy Goddard, “War (protests), what are they good for,” The Clarion 2003-03-05. ¹⁹ Aaron Gerhardt, “Dear Editor,” The Clarion 2003-04-09. ²⁰ Wes Burdine, “Losing hope: Toby Keith sings for all of us,” The Clarion 2003-11-05. ²¹ Matthew Boettcher, “Forum brings many people, many opinions,” The Clarion 2003-03-19. ²³ Wes Burdine, “The death of generality and ideology,” The Clarion 2003-03-19. ²⁴ Brent Kobielush, “Dear Editor,” The Clarion 2002-12-11. ²⁵ Bill Lent, “Uncovering a unique voice for protecting a nation: an interview with a United States Marine veteran,” The Clarion 2003-03-19. ²⁶ Randy Kleinman and Matt Borg, “Dear Editor,” The Clarion 2003-04-23. ²⁷ Timothy Goddard, “End of year rapid-fire analysis,” The Clarion 2003-05-07. 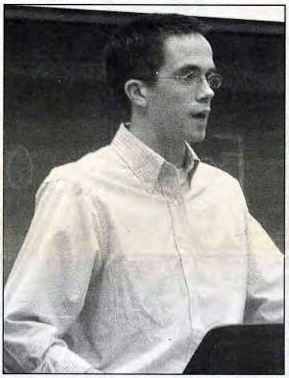 ²⁸ David Maus, “Faculty, students debate on Bush’s Christianity,” The Clarion 2003-12-10. ²⁹ Aaron Gerhardt, “Dear Editor,” The Clarion 2003-04-09. ³⁰ Wes Burdine, “We love ourselves some war,” The Clarion 2003-04-09. ³¹ Jake Nyberg, “Hijacked patriotism — cheap colors do run!” The Clarion 2003-04-09. 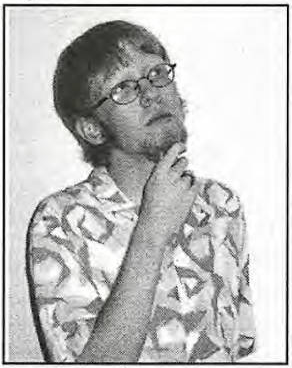 ³² Matthew Boettcher, “A voice from the middle-ground,” The Clarion 2003-05-07. ³³ Wes Burdine, “Bethel must acknowledge, deal with, homosexuality,” The Clarion 2003-11-19. ³⁴ Wes Burdine, “Last words: stop being afraid and come alive,” The Clarion 2003-12-10. ³⁵ Kelly Kirby, “Bush staying one step ahead of his many critics,” The Clarion 2003-12-10.